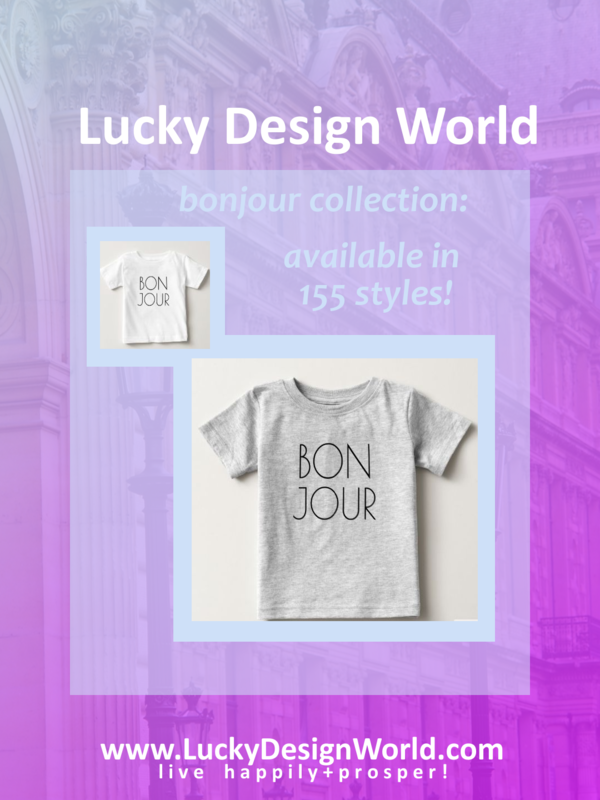 Modern & Trendy Typography Bonjour, Hello in French Design has an entire collection! A trendy, modern typography design to say “hello” in French. Makes a fun and cute gift for any occasion! It was something new: typography. The use, placement of design and arrangement of letters to create beautiful words was an instant favorite of mine! Since then have created many different collections based on typography (in no particular order – the links will open a new tab): Tropical Typography Oahu Hawaii // Personalize Collection, Shine Bright // Diamond + Stars Collection, Love Conquers All Typography//Amour Quote Collection , Aloha Mahalo Typography Collection, Hawaiian Valentines Typography + Hibiscus Floral Pattern Collection, La Vie Est Belle (Life Is Beautiful) Typography Collection, Tres Chic Minimalist Typography Design Collection, The Heart, a symbol of strength, French Quote Typography Collection, ” Read More “, Fun Quote in French, Typography Design Collection, Bon Voyage Classic Bold Typography Design Collection. As you can tell, I love, love typography! It’s a wonderful expression of words and to display optimistic messages in Hawaiian or French is certainly a great contribution that these designs deliver! The Bonjour, Hello in French Collection has sleek font is modern and bold. Plus, it will match with anything. Something to dress up or dress down, it’s up to you. The design is made available on 155 styles and 7 different products! A cute tote to carry books or anything! Dress up your letters with a french expresion: Bonjour! Have coffee and know how to order it in french! (it’s on the reverse side) visit the link to see more! A chic cover for your laptop! Practice French conjugations with this notebook or it makes a great gift for a student of French! A simple, sophisticated design for work essentials. Have your postage in French ! This was the entire collection! Remember for apparel there is much more to see! Visit the Zazzle Store! Previous PostPrevious New Color Choices for Aloha Mahalo Trucker Hats at the Store! Next PostNext Trendy Wedding Suite: Vintage Sunflower Theme!